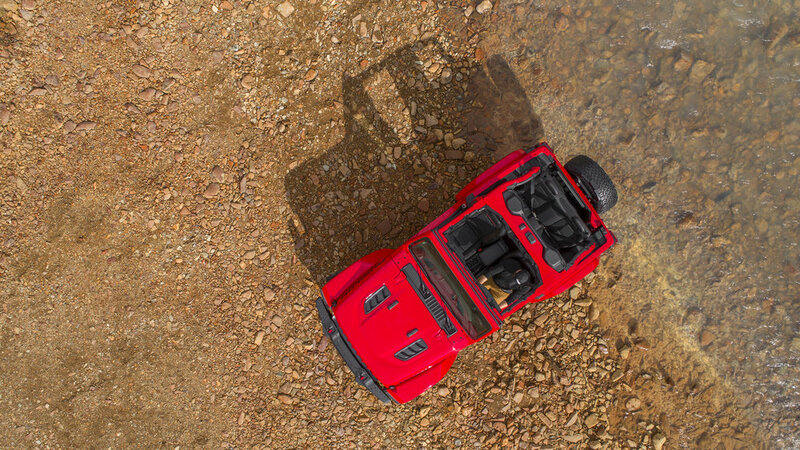 The most capable SUV ever, so it says in the press release, will deliver even more legendary Jeep® 4x4 capability with a modern design that stays true to the original. The new Jeep promises more advanced fuel-efficient powertrains, more open-air options, and is loaded with more safety features and advanced technology than ever before. The all-new Wrangler’s unique design includes an instantly recognizable keystone-shaped grille, iconic round headlamps and square tail lamps. There's improved aerodynamics, a convenient fold-down windscreen for off-road purists, even more open-air freedom, and dozens of different door, top and windscreen combinations. Additional images and complete vehicle information will be available on 29 November at the Los Angeles Auto Show.